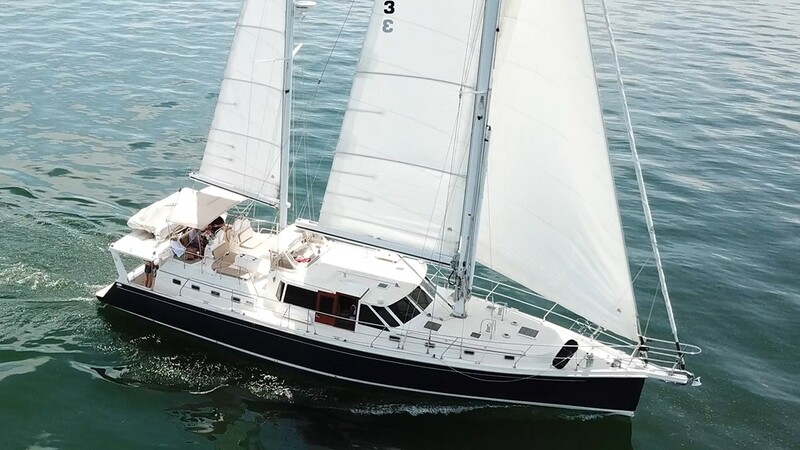 OHANA a 2011 Shannon 53 HPS, otherwise known as the High Power Sailer, is a unique blend between the advantages and simplicity of a power yacht and the romanticism and luxuries of a sailboat. Ohana is bound by few limits. With her ICW friendly main and mizzen masts and gunkholing shoal draft of a mere 4’ 9”, she’s ideally suited for remote and otherwise restricted destinations for yachts of such size. Perfect for the Bahamas or shallow waters of South Florida, yet capable and equipped for much longer voyages. Offered for sale by her original owner, she’s been exceptionally well kept and professionally maintained since commissioned. Lightly used, there’s hardly a blemish about her. The hull shines as brilliant as the day she was launched while her machinery with less than 500 hours, and equipment maintained to top-standards, have seen hardly more than day sails and week long cruises to the Florida Keys.